signed copy of my new book! What you do need are 47 simple, effective and easy-to-implement tips on food, fitness, faces, feelings and fun to give you a solid foundation for long-term physical and emotional well-being for maximum gorgeousness! This book will give you the tools and encouragement you need to not only look great but to feel great too as the key to ageing gorgeously is nurturing ourselves inside as well as outside. 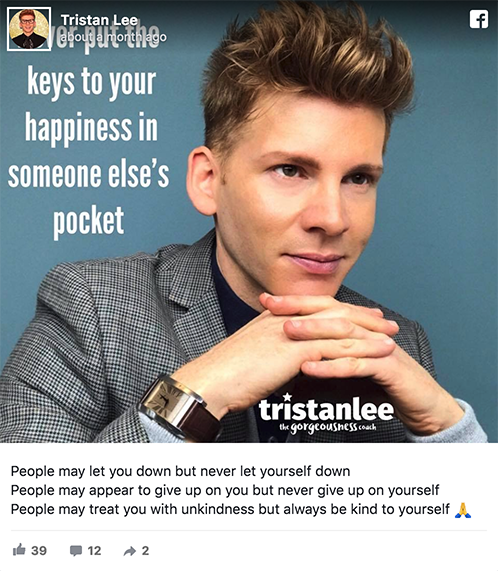 Tristan Lee has helped transform the lives of thousands of people all over the world with his work as The Gorgeousness Coach. He’s the guy who still gets asked for ID when buying alcohol, despite the fact he’s now 47! With over twenty years of experience he empowers ordinary people to achieve extraordinary results by sharing his unique brand of expertise on all areas of self-care and all done with a big dose of humour! Ageing is inevitable but how we age is in our hands. So get ready to say goodbye to feeling drab as we get older and say hello to feeling fab as we make our olden years, our golden years! Together, we’ll get it back! As we move into our thirties, forties, fifties and beyond, many of us start to lose our sparkle. It doesn't have to be this way! Do you look and feel as good as you'd like to? So whether you're 28 or 128, or anywhere in between, I've proved regardless of age, you can still look great, feel fab and have amazing self-esteem. Let me help you too! Giving you the tools and support needed for your success. Helping groups learn to take care of themselves as they take care of business. An unforgettably entertaining speaker, with a powerful message for large audiences. Fun, free and interactive advice from me to you, with love! Tasty, quick and simple recipes for busy people who want to feel great! Meet Tristan, your gorgeousness coach! 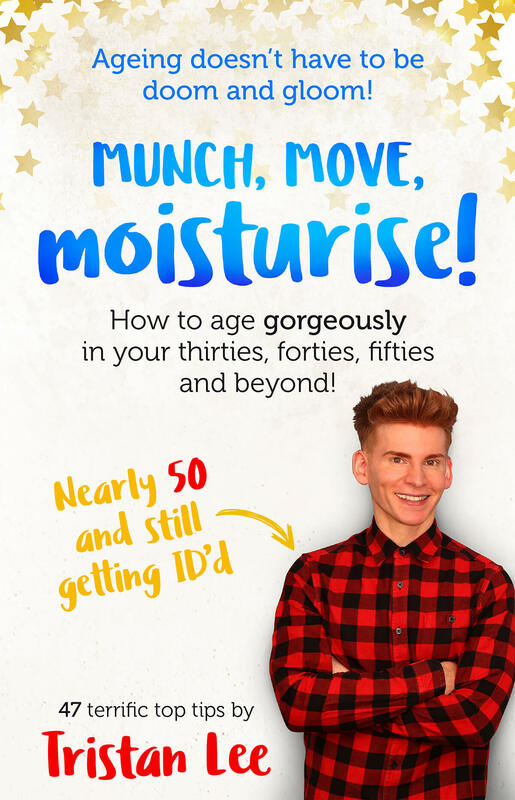 Meet the man spreading the gorgeousness gospel, inspiring the nation how to look good, feel great and regain your sparkle, no matter what your age. 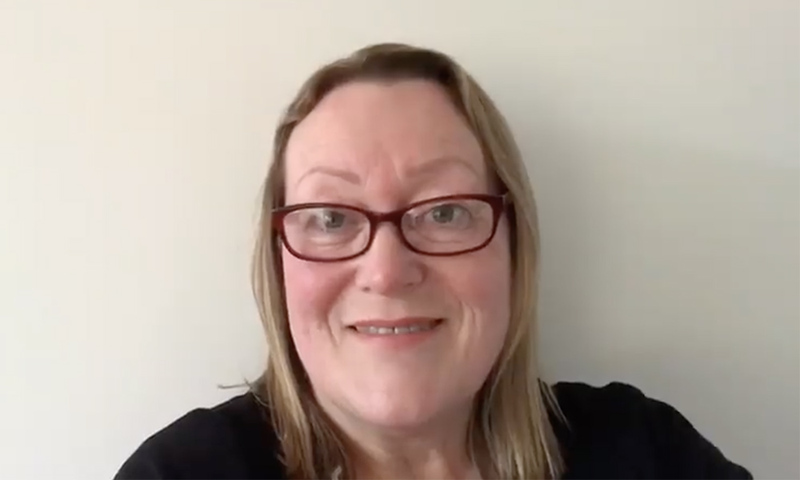 Hear from some of my amazing 1-2-1 Coaching clients, of all ages and backgrounds. I connect with clients internationally, meaning no matter where you are in the world, I can help! "Tristan has been an amazing support and has helped me to develop the right kind of mindset to help me achieve the personal goals I’ve set for myself." "We talk on a weekly basis and talk to each other most days. I really can’t recommend Tristan highly enough." 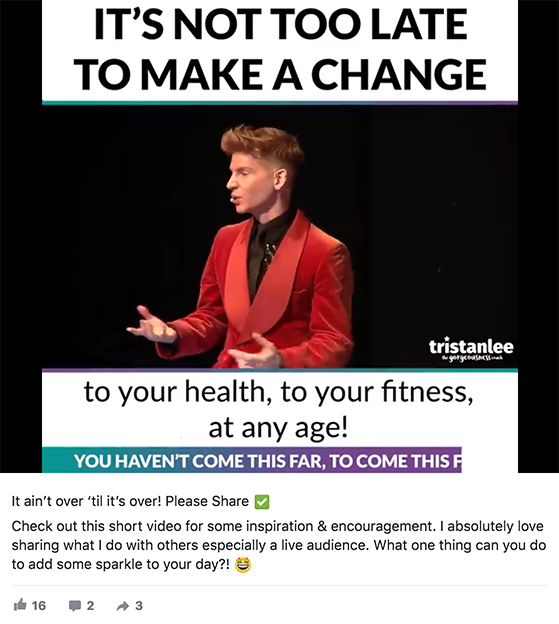 "Tristan has really helped me take some of my huge goals and break them down into bite-sized chunks which has made a tremendous difference to my results." "Tristans health, beauty, skincare tips are always really interesting and he just genuinely cares about helping people to look gorgeous but more importantly feel gorgeous both inside and out."